When a person dies, we acknowledge their death by having a funeral, the traditional way to honor and pay respect to a loved one. Once we are contacted, the deceased is taken into our care at our funeral home where they are prepared for viewing. As part of the arrangements we will coordinate the church, cemetery, newspaper notices, and file the death certificate along with any other items needing addressed on your behalf. A visitation may be held in conjunction with any choice of final disposition: earth burial, entombment or cremation. Many people believe viewing is important because it allows us to begin accepting the individual’s death by sharing memories and receiving support from others. Following the visitation, a funeral service at the funeral home or church is held. A procession to the cemetery follows and concludes with a brief service. After the funeral it is customary for the family to invite their guests to join them for a funeral luncheon. The gathering of friends and family at a time of death is an important part of the grieving and healing process. The following is a list of choices which represent our services. They may or may not include the casket or container required for visitation or viewing, burial, entombment or cremation. 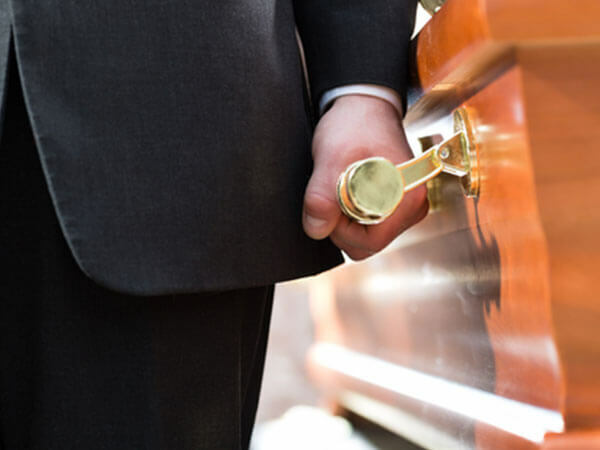 This package includes basic service of funeral director and staff, twenty four hour/365 days per year availability, administrative expenses, arrangements conference, planning, supervising, coordinating service details with those involved in the funeral service, securing, preparing, and filing necessary permits, certificates, authorizations and consents, clerical and record keeping, embalming, other preparation of remains, use of facilities and staff for two hours of public viewing or visitation with evening hours, funeral services next day, use of facilities, staff and equipment for funeral ceremony at the funeral home or service at another location, transfer of remains to the funeral home, Sheltering of Remains for up to five days, after which time charges will accrue per day as listed on the General Price List, funeral coach/hearse to the cemetery, service car/flower car, and family car (Sedan). This package includes our Basic Life Tribute Video Package with one copy for the family, an invitation to our Tree of Memories Holiday Remembrance Service held between Thanksgiving and Christmas of each year, and there will be a tree planted in memory of your loved one in the state of Maryland as part of Lofty Oaks. This package includes basic service of funeral director and staff, twenty four hour/365 days per year availability, administrative expenses, arrangements conference, planning, supervising, coordinating service details with those involved in the funeral service, securing, preparing, and filing necessary permits, certificates, authorizations and consents, clerical and record keeping, embalming, other preparation of remains, use of facilities and staff for a one hour of public viewing or visitation prior to same day funeral service, use of facilities, staff and equipment for funeral ceremony at the funeral home or service at another location, transfer of remains to the funeral home, Sheltering of Remains for up to five days, after which time charges will accrue per day as listed on the General Price List , funeral coach/hearse to the cemetery, service car/flower car, and family car (Sedan). This package includes our Basic Life Tribute Video Package with one copy for the family, an invitation to our Tree of Memories Holiday Remembrance Service held between Thanksgiving and Christmas of each year, and there will be a tree planted in memory of your loved one in the state of Maryland as part of Lofty Oaks.